VWM’s dedicated solutions for CNC machining aluminium and composites in aerospace applications. More..
VWM is your complete partner, capable in developing the best configuration to bring the reality to the customer ideas. 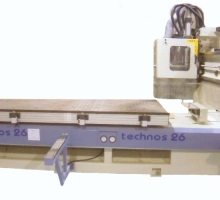 More..
VWM conforms to a high level of production standards of its CNC machining centres for the machining of composite panels. More..